Coral Silver Pendant with Knot of Eternity Symbol. 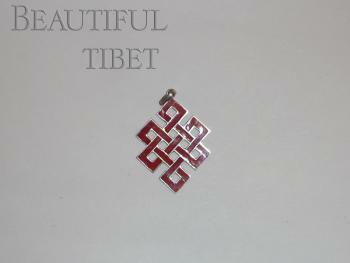 Coral silver pendant with knot of eternity symbol.It symbolizes the mutual dependence of religion and worldly affairs. It also represents the union of wisdom and compassion, and the union of emptiness and dependent arising . Coral is known to be beneficial in taming tempers , removes depression and good for spiritual balance.